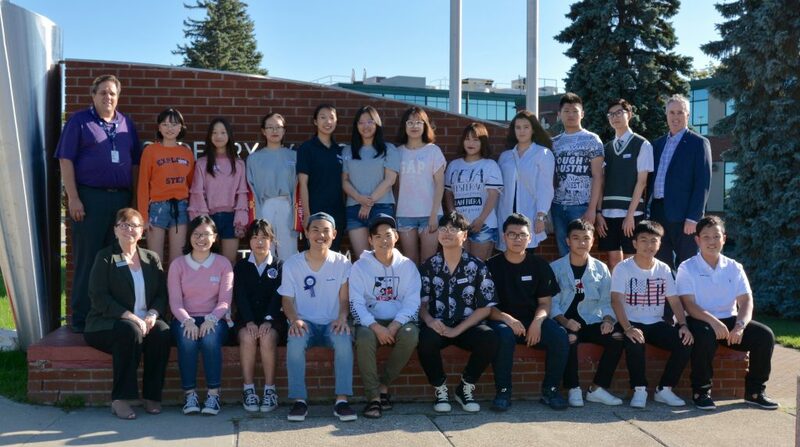 Sudbury Catholic Schools Welcome 30 International Students! We were proud to welcome 30 international students to our schools for the 2018-2019 school year! These students have arrived from the countries of China, Japan, Vietnam and Spain and will be studying in our secondary schools throughout the year. St. Benedict Secondary School has nine students registered, Marymount Academy has 11 and St. Charles College will host 10 International students throughout the year. The students and their host families were welcomed to Sudbury and Sudbury Catholic Schools during a barbecue which took place on September 6 at Marymount Academy. We wish to thank all staff, teachers and host families that help support them throughout their educational journey with us!The success of the program is also a result of the many generous and supportive host families we have available. The board is always looking to recruit to fill the ever-growing community of host families at Canada Homestay Network. Interested families can contact them directly at hostinfo@canadahomestaynetwork.ca or 1-877441-4443 ext. 2176.